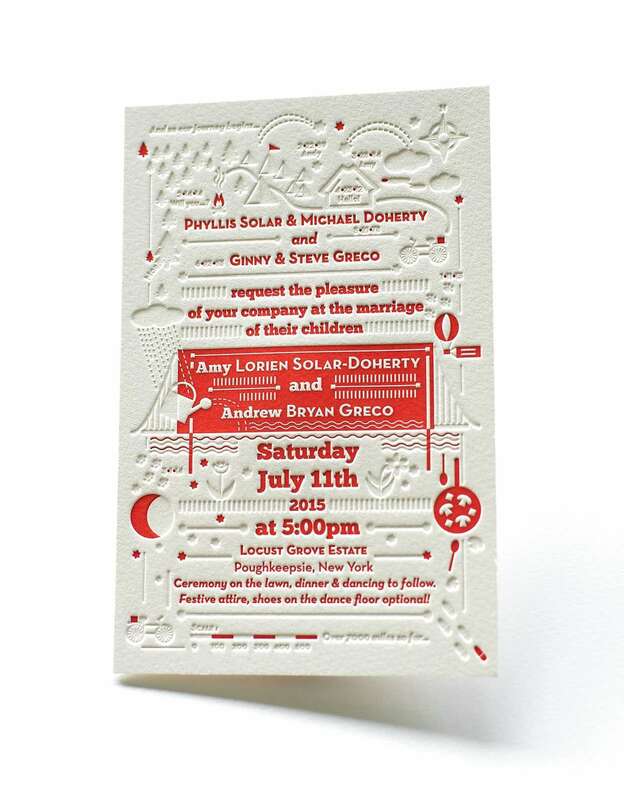 A Wedding Invite is an extremely beautiful and important part of any wedding. It is the first thing that your guest will see of the upcoming nuptials. Both, the bride and groom take utmost care to ensure every detail is exactly how they had imagined, and the end result is sophisticated and appealing. It can be quite a challenge to pick one design but if you get a good designer, then things can be a lot easier. A good designer can not only come up with excellent, creative ideas but can also transform your vision into reality, in the most enchanting manner. 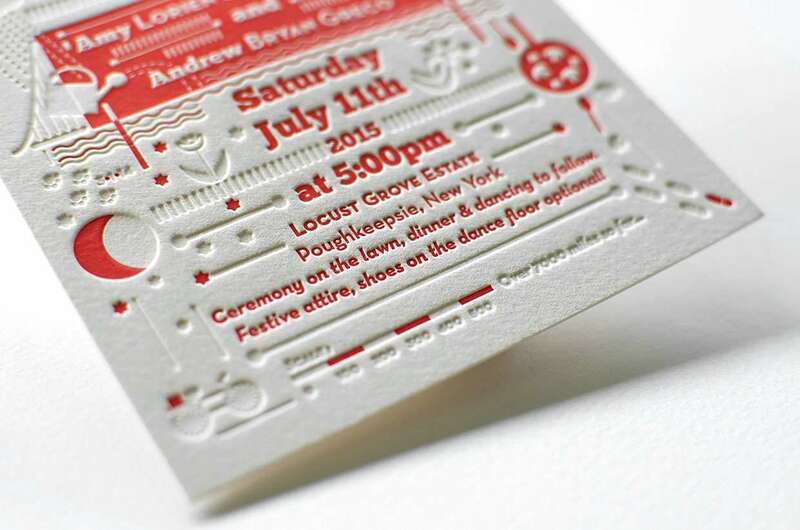 French designer, Katie Fechtmann has designed this charming Letterpress wedding invitation keeping in mind minimalism, attractiveness and visual storytelling. What is so special about this particular invitation? The implementation of deep blind deboss technique. 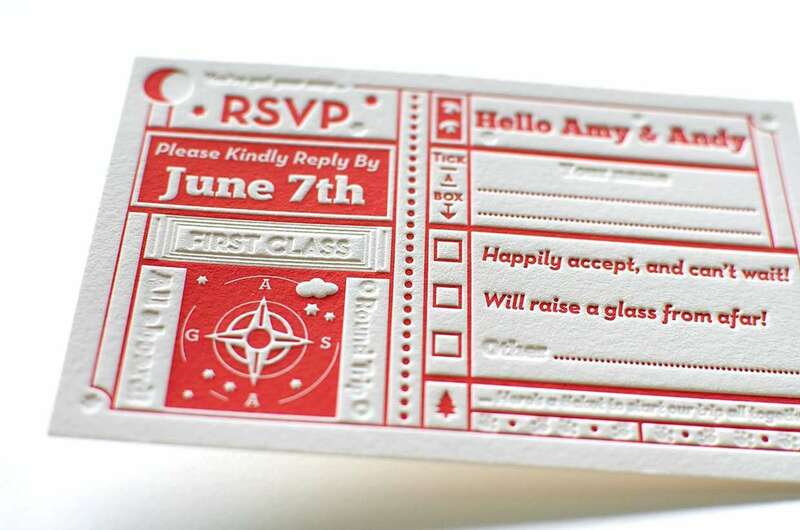 Katie has had extensive experience and like always, even with this project, she wanted to deliver a beautiful wedding invitation which was also unique. 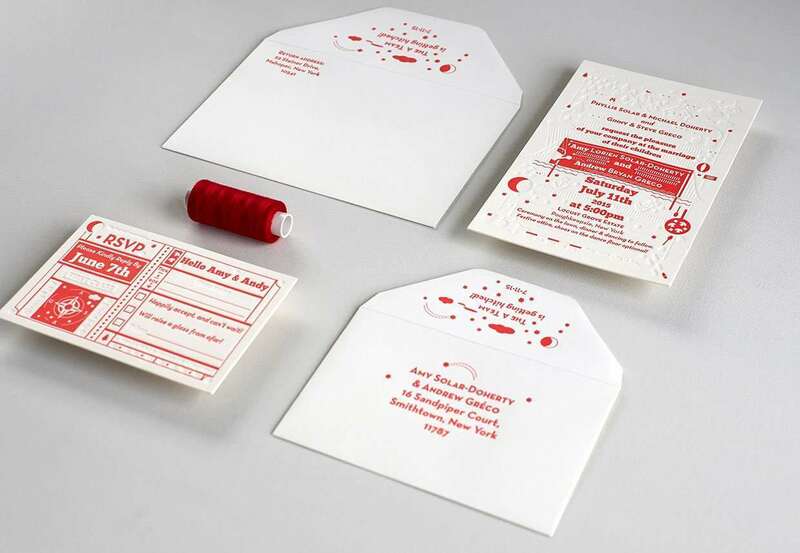 She wanted to create a design which was a gorgeous amalgamation of all the required details without overshadowing the entire essence of the invitation. The invitation was not entirely a piece of cake. 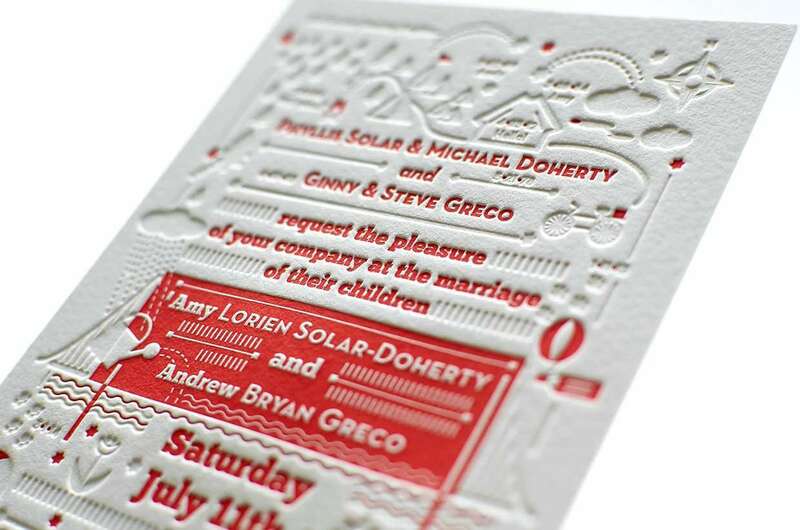 The invite design needed the deep blind impression and letterpress printing to come together elegantly, but it required the use of hairline registration on a paper sheet. Paper sheets most often than not, change little bit their dimensions after undergoing deep impressions especially after impressing such large areas. 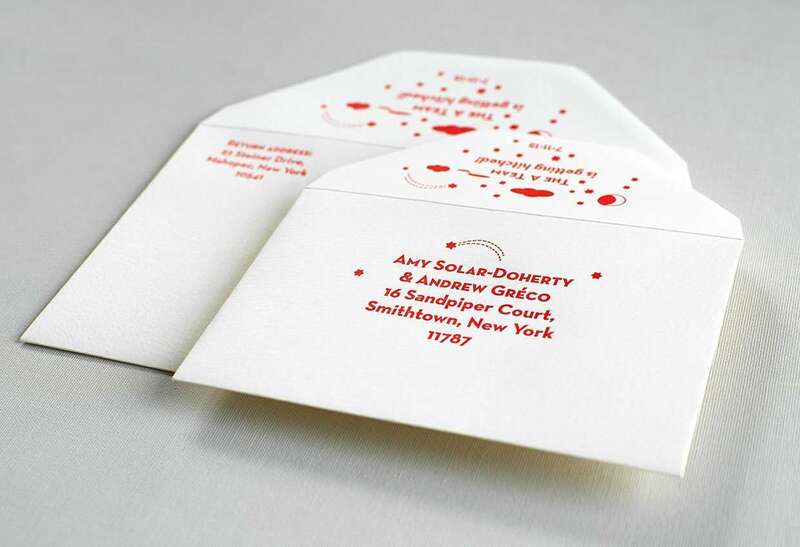 If this happened its really hard to get hairline registration and then the invites wouldn’t have had the imagined look and feel. 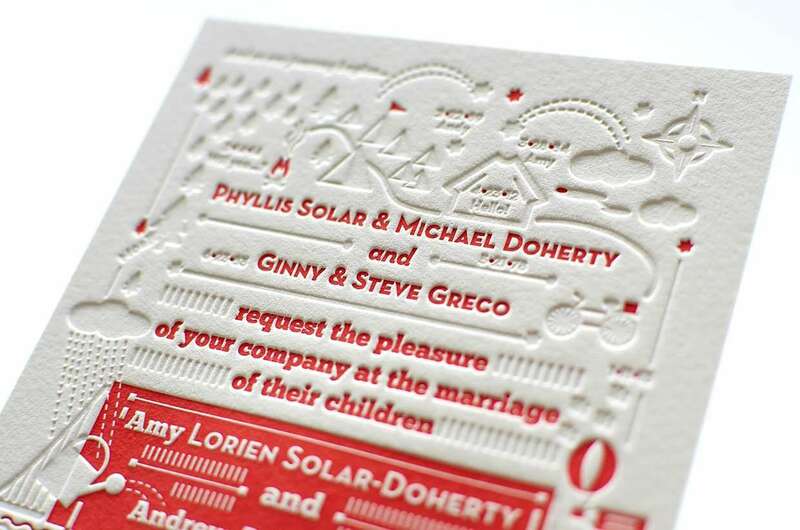 Those letterpress wedding invitations and RSVP cards were printed in Elegante Press studio, on pure cotton 600 gsm soft white cotton paper with printed envelopes. As you can see, the end result turned out to be just perfect – classic and attractive with a touch of fancy.